Like in any city, there is a lot of business going on in Toronto, Canada. Banking, real estate, manufacturing…it’s all here. In the late 1990s, Toronto amalgamated with its sister regions in the north, east, and west to form the Greater Toronto Area (GTA), becoming one large thriving area of business activity that has left its mark on the global economic landscape. With all of this business activity, you can be sure that the competition between businesses is growing as well. The changing times of digital business and the new practices that keep your business successful have become very challenging, to say the least. Companies are working their hardest to remain competitive and to have their endeavors bring the rewards they demand. Over time, there has been the arrival of Toronto SEO experts—the bright new business folks that work the new digital business field of search engine marketing (SEM) to keep success rates for both new and established companies high. However, if you search online or in your local Toronto business directory, there is more than one Toronto SEO company. They all promise the sun and the moon for their clients, with information on SEO techniques to make businesses survive and succeed online. Yet it’s hard to separate the real experts from those that just claim to be, and often when a business contracts one of these so-called SEO specialists out, its workings are less than stellar and its success levels equally low. In the end, it’s just plain tough to know who can really help you with your business online. Numero Uno Web Solutions Inc. works differently. Based in the north end of Toronto, Numero Uno Web Solutions Inc. prides itself on working interactively with clients to meet their needs in the challenging world of SEO and online marketing. As a team of studied and seasoned SEO professionals, the Numero Uno team utilizes its skills to bring clients’ businesses to the Internet and leave an imprint of real online business strategy that will bring real long-term success. As a web marketing company in Toronto, Numero Uno Web Solutions Inc. has amassed the right personnel in today’s digital business world. Our team has researched and worked in the SEO field, learning its mechanisms and applying them to real business marketing areas to show real results. As a unit, our team can examine your business and see how to make SEO and all of its related online business practices, from keyword research to analytics observation, work for you. It’s what Numero Uno does, and we take pride in showing you what options AND opportunities are out there for your business online. Numero Uno Web Solutions Inc. also does a lot of the fieldwork for you. Not sure what maintenance to do for your business online once you’re there? No problem. With our examinations, we can show you how to optimize your web page information online and calibrate it to your business’ exact specifications to bring the clients that require your products or services to you. As an article submissions company in Toronto, we can create content for your business that will appear across the Internet in optimal locations, driving more client traffic to your web site and increasing potential business for you. And over time, we can monitor the results of all your online activity to improve your online business material for maximum business potential. In Numero Uno’s hands, your business is treated with care and set-up for the long-term business sustainability that other SEO companies can’t deliver. 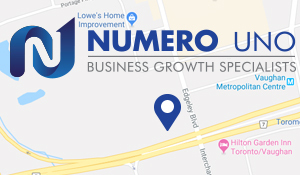 As a modern business assistance service, Numero Uno Web Solutions Inc. works for you and your business right out of the heart of the Toronto business area. While another cheap SEO company might promise you everything, Numero Uno actually works to meet your expectations at an affordable price. It’s our job. It’s our pride. It’s what we do at Numero Uno.